As the weather turns warmer each summer, the one thing I try to avoid at all costs is turning on the oven. It’s just way too hot outside to be warming up the house. 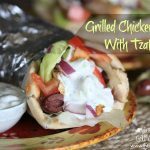 Warmer weather means simple, light meals in our house. 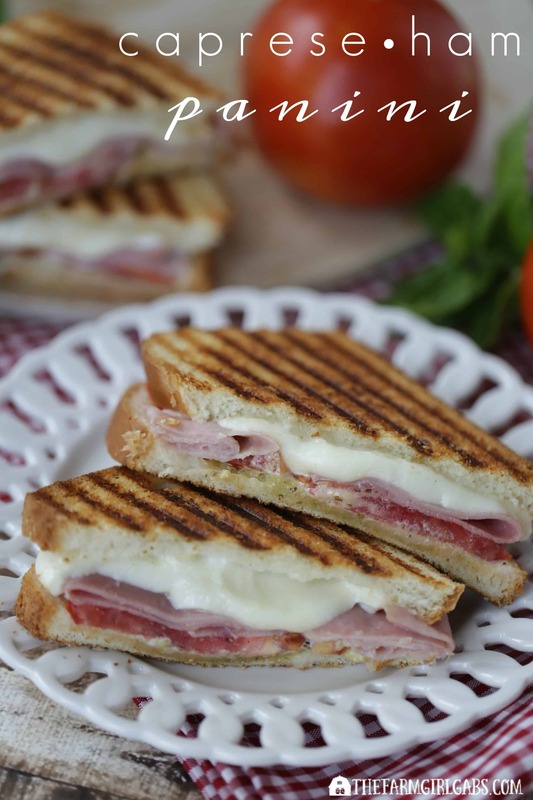 Today, I am sharing with you one of my husband’s favorite sandwiches – a Caprese Ham Panini. Simple really is better, and this Caprese Ham Panini is just that. It’s only a 6-ingredient sandwich! There is a science to perfecting the perfect sandwich. 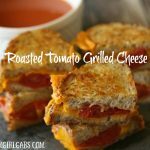 Sandwiches are a nutritious way to feed the family, and the perfect way to not heat up the kitchen on a hot summer’s day. Let’s talk a minute about the “art” of the sandwich. A good sandwich starts with the bread. 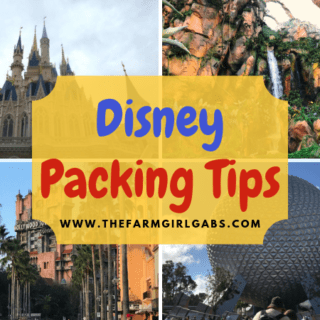 You need a hearty bread like Pepperidge Farm Farmhouse™ Hearty White bread. Pepperidge Farm Farmhouse™ breads are baked to golden-brown perfection. They make every kind of sandwich taste terrific. I like that they are double-wrapped for freshness. Living on a very large farm, I love having a lot of the fresh fruits and vegetables we grow at my disposal. But, sometimes, it’s the simplest ingredients that make the best sandwiches. New Jersey is famous for its tomatoes. Luckily, we grow 20 acres of them here on our farm. I have said it a million times, but there is nothing like a Jersey tomato! I slice a few up, then top them on the bread with a few slices Hillshire Farm® Thin Sliced Honey Ham, fresh mozzarella and a pesto spread that is made with Hellmann’s® Real Mayonnaise and jarred pesto. Once the sandwich is assembled, I spread the pesto on the outside of the bread so the sandwich will not only have a delicious basil flavor, but also be nice and crispy when grilled. I grill it on a panini press. If you don’t have a panini press, you can grill it in a pan on the stovetop. The end result is perfection. The outside of the Farmhouse Hearty White bread becomes nice and crunchy. The mozzarella melts and holds the other ingredients all together. The Hillshire Farm® Thin Sliced Honey Ham adds a delicious slow-roasted flavor. The pesto spread, along with the fresh tomatoes gives this sandwich the perfect Italian flavor. All of the ingredients to make this Caprese Ham Panini can be found at Walmart. 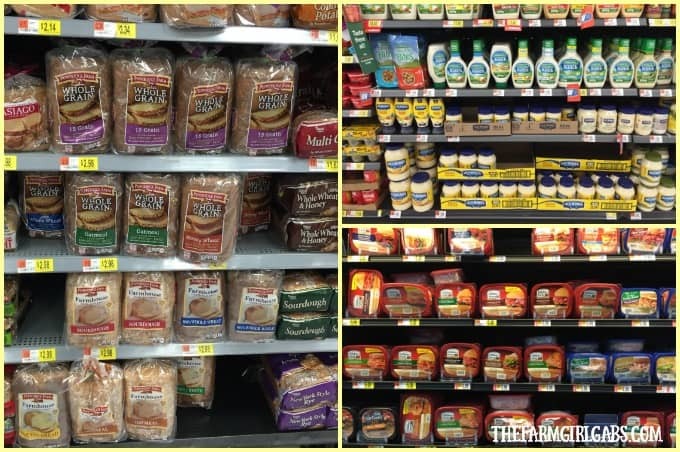 The Pepperidge Farm Farmhouse Hearty White is located in the bread aisle, the Hillshire Farm® Thin Sliced Honey Ham is found in the refrigerated section and the Hellmann’s® Real Mayonnaise is in the condiment aisle. What’s your favorite simple summer sandwich to make for your family? I hope you give this one a try. You’ll score big points with this delicious 6-ingredient sandwich! 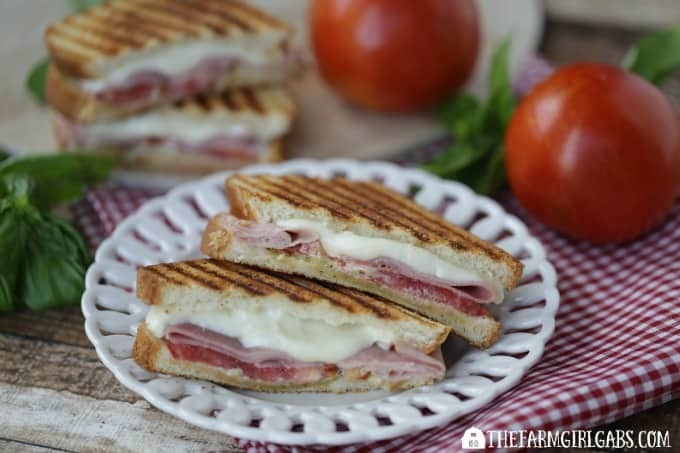 This Caprese Ham Panini is perfection between two slices of Pepperidge Farm bread! 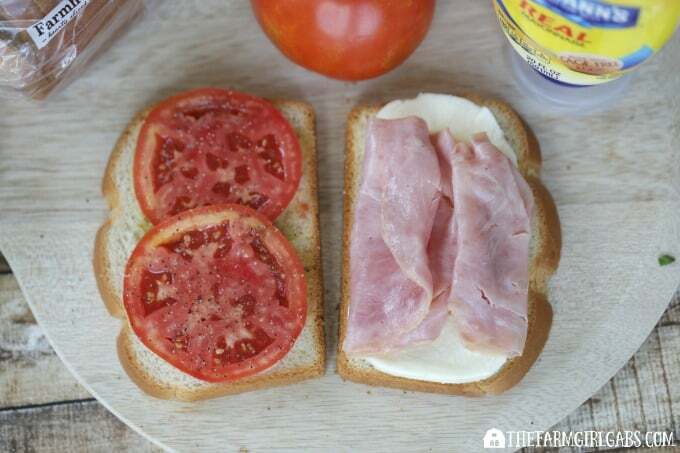 Fresh tomatoes, fresh mozzarella, ham and a basil spread equal one delicious sandwich recipe. In a small bowl, mix mayonnaise and pesto together to make the pesto spread. Take two slices of bread. Spread the pesto spread on each side of the bread. Top one slice of bread with two tomato slices. On the other slice, layer fresh mozzarella and 3 slices of ham. Combine slices together and place on grill. Press and cook until outside is golden brown and crispy.